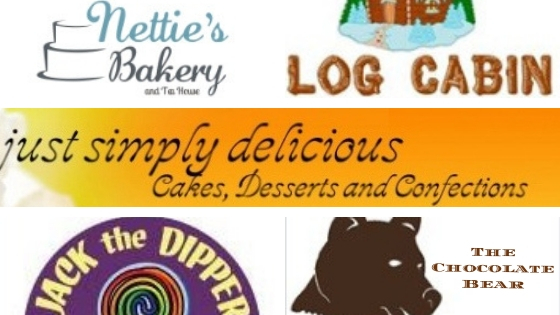 Waynesville desserts delight both residents and guests of our scenic Western North Carolina town. There are at least five reasons why this is so. We share five places for tasty treats. People love to eat dessert all year round. When it is warm outside, people can cool off with their ice cream treats. 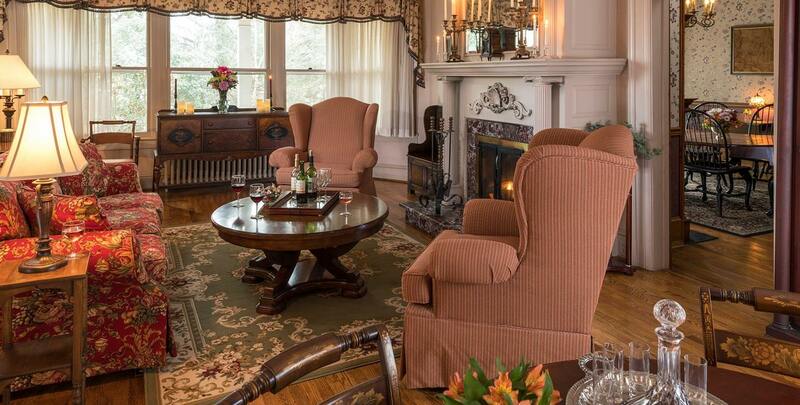 Likewise, when it is cold outside, they can return to the warmth of The Yellow House (where all ten of our guest rooms provide gas fireplaces). Nettie’s Bakery (500 Hazelwood Avenue): This mother-daughter owned and operated bakery makes everything in small batches, ensuring both freshness and quality. They offer a wide variety of delicious desserts including: tea cakes, cinnamon rolls, danishes, French eclairs, cookie sandwiches, brownies, cookie bars, Viennese whirls, cake-by-the-slice, and much more! Log Cabin Frozen Treats (2052 Dellwood Road): This one-stop-shop for frozen treats offers a variety of soft serve ice cream flavors, gelato, custard, yogurt, and Italian ice. Just Simply Delicious Cakes, Desserts, and Confections (57 Branner Avenue): Experts in special occasion baking, they design wedding cakes as well as serve delectable desserts, specialty cakes, dessert bars and buffets, petit fours, mini cakes, and pies. Jack the Dipper Ice Cream Parlor (76 Waynesville Plaza): Home of the warm waffle cone, this family-friendly ice cream parlor offers old-fashioned, hand-dipped ice cream as well as sundaes, malts, banana splits, and made-to-order ice cream cakes. The Chocolate Bear (170 North Main Street): Appropriately named, they offer chocolate and salted caramel truffles, gourmet chocolates, chocolate-covered animal crackers, peppermint patties, and chocolate-covered cherries, and more! 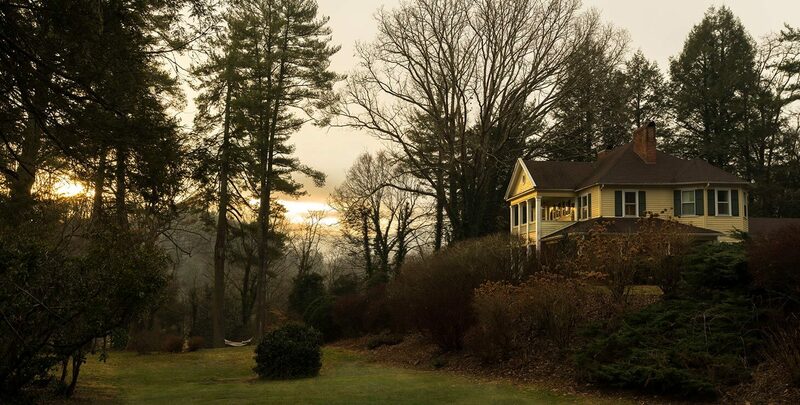 The Yellow House Bed and Breakfast is located in the heart of Waynesville, North Carolina. We have five rolling wooded acres and two ponds. We have spectacular views of the Blue Ridge Mountains. 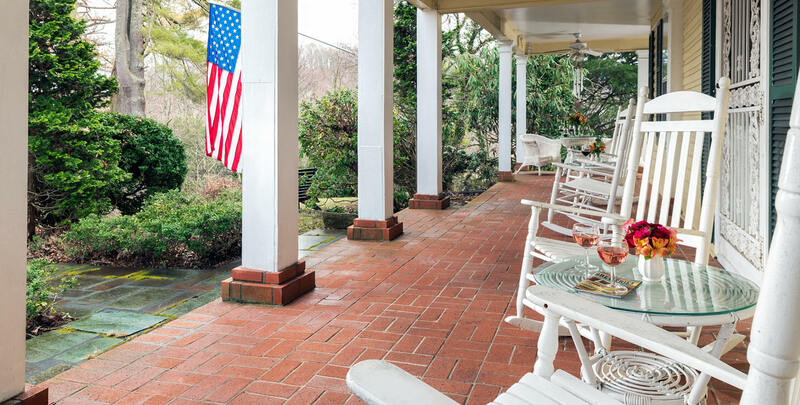 We offer ideal accommodations for couples, girlfriends on getaways, and family reunions. We even host weddings and private retreats.